The toughest fight of the movie isn't happening in the film, it's happening outside with the pace. What’s Good: The vernacular approach to an universal story, Every punch by Vineet Kumar Singh reminding us how he literally has spent every last drop of his blood, sweat, and tears & Anurag Kashyap returning back to his home ground. What’s Bad: The toughest fight of the movie isn’t happening in the film, it’s happening outside with the pace. It could easily have been a bit shorter but ends up testing patience at some junctures. Loo Break: No! The beauty of this film is there’s something interesting going on in every scene. Though it might be a scene you feel is unimportant, but it’ll still be entertaining. Watch or Not? : Yes! Because you might just be that other guy/girl who this movie doesn’t targets but will go and watch it anyway. Its fate depends on word of mouth, be an addition! Bhagwan Das Mishra (Jimmy Sheirgill) is one of those cliched corrupted politicians you see in such Bollywood movies. What it could’ve been the regular role is pulled up by the director making it one of the best in the film. Shravan Singh (Vineet Kumar Singh) has been training as a boxer under Bhagwan Das, who is an ex-boxer, but still has not got to the level he deserves to be on. Hailing from a different cast & ideology, Shravan fells in love with Bhagwan’s niece Sunaina (Zoya Hussain). Bhagwan mixes his personal tussle with his profession and tries every possible way to not let Shravan claim any fame. In this war between love & passion, Anurag Kashyap layers numerous things under the skin of the main story. 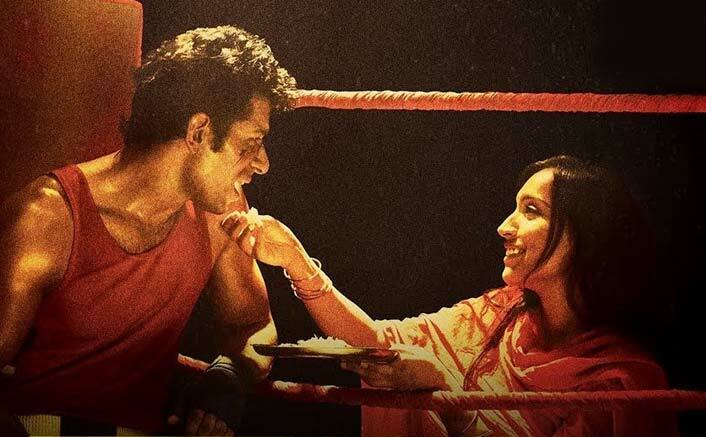 Shravan’s love story, his passion for boxing and rivalry with Bhagwan are not the only main things covered in the film. The story has much more to tell. The current time is 1.45 am in the night & there are some rare films which makes you forget you’re working since 7 in the morning & you’ve to wake up in next 4 hours – well, Mukkabaaz is one of them. This simple-looking-complex script has many contributions to it (or at least Google says so) – Anurag Kashyap, Vineet Kumar Singh, Mukti Singh Srinet, K.D.Satyam, Ranjan Chandel and Prasoon Mishra. Taking a cue from Sylvester Stallone’s Rocky, Kashyap takes this adding his only-registered ingredients. In Rocky, Adrian asks Rocky “Why do you want to fight?” He replies “Because I don’t know how to sing or dance.” Shravan, the aspiring Mike Tyson of Uttar Pradesh, is uneducated but master of strength. Script has a proper combination of everything – action, romance, drama, family emotions & gray shades. The dialogues make you fall in love even with an ordinary sequence. Vineet Kumar Singh deserves every praise possible, he literally has spent every last drop on portraying the character of this boxer who’s in a war between his heart & mind. The whirling sounds of his punches land straight to the heart making us feel for Shravan. He fights like this is the finale of his life & wins it. Zoya Hussain as Sunaina speaks out the most even after being the one who can’t speak and is deaf-mute by birth. She expresses her anime face so well, you’ll not feel she cannot speak. The big issue was text used by makers while she speaks or texts, it’s interrupting as the font & size used are too weird. Jimmy Sheirgill lights up the screen with his charismatic presence yet again. He’s so mean, which makes you hate his character. Retaining the swag throughout he never lets you sympathize with Bhagwan Das Mishra. Ravi Kishan comparatively has smaller screen time but he leaves the maximum impact. A coach who has been a victim of racism, Ravi articulates his tangled emotions in the most plain way. Shifting his focus from a very limited audience in Raman Raghav 2.0, Kashyap has chosen a story which could just work fine if word of mouth clicks. Yes, this too will find it difficult to survive under tha Tiger Zinda Hai dominance & upcoming threat of Padmaavat but a liked film can surpass any roadblock. Kashyap covers casteism, politics in sports, domestic violence & many more relevant issues in a single film. Good thing is, nothing mixes up to create a chaotic dish. Prashant Pillai’s background score is bang on making your interest glued to the scenes. Anurag Kashyap one of the many brilliant traits is placement of songs. Special mention – Rachita Arora, the music director. Apart from Nucleya’s Paintra (Which also is used very well in the movie) all the songs are composed by Rachita. Her work in Newton went unnoticed but I so hope people recognize this young talent in this one. Every song is situational and is fitted perfectly to finish up this beautiful puzzle. Don’t expect a Rocky or Gangs Of Wasseypur, because this is not. Growing comfortably in its own little space, Mukkabaaz fits perfectly to the genre of Anurag Kashyap films but this time it’s comparatively less dark & more entertaining. Don’t think, go watch! 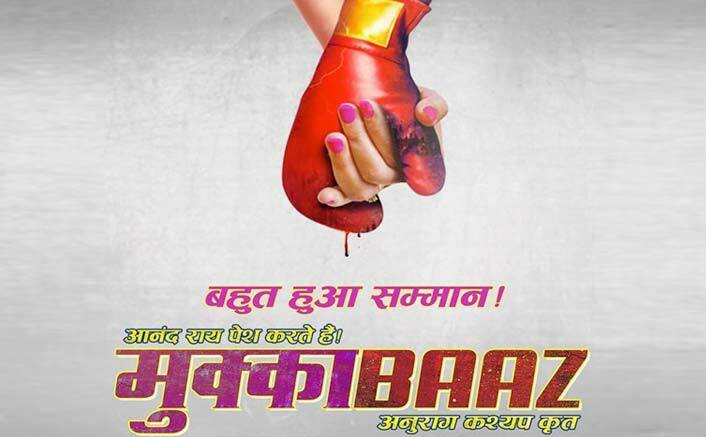 Mukkabaaz Movie releases on 12th January, 2018. Share with us your experience of watching Mukkabaaz Movie . You come out of Mukkabaaz in all probability, liking yourself, yet cannot be said to be Kashyap’s best offering, it frees you from the obligation of seeing yourself within it; the film can be called to be clever, almost the entire duration, yet it seems to barely have any insight. it; the film can be called to be clever, almost the entire duration, yet it seems to barely have any insight.